How to survive and thrive teaching those *wonderful* middle years of school. For the past school year I have been musing over how to better reach my students outside of the classroom. How can I remind them to study? How can I remind them of homework? How could I give extra credit in different ways? Enters Instagram. I set up a "teacher" account towards the beginning of the school year and with have been using it pretty regularly to communicate with my students. This has been a pretty hot topic at my school, so I thought I would share the thought process behind using Instagram as a communication tool. Middle school students are tech savvy. They have phones, they have tablets, they use social media sites. These are facts. One study done in a middle school in Massachusetts surveyed a little over 500 students and 78% of those students owned a cell phone. Another study from the Pew Research Center showed 73% of teens between the ages of 12 and 17 use social media sites. With numbers like this it makes sense to me to communicate with students using their own means. 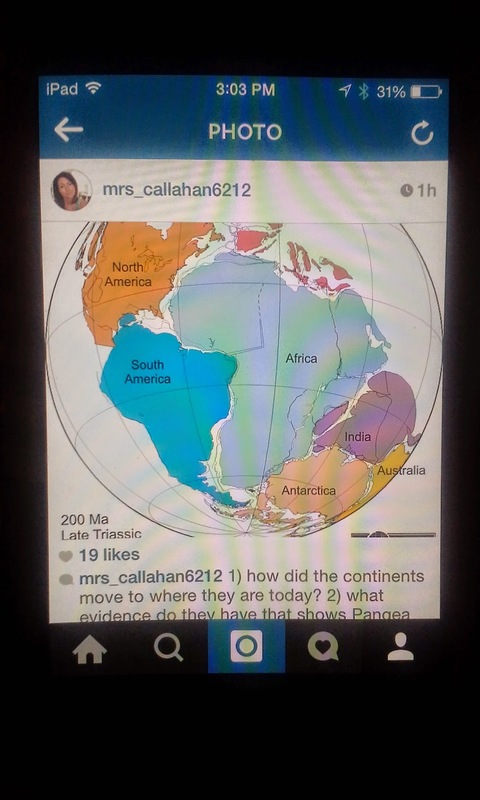 I've been a heavy user of Instagram personally and I felt it only natural to extend my usage to my students. I created a student account with the name "Mrs_C" that way my students know its me in teacher mode. I post test review questions, reminders of projects and study time, appropriately funny thoughts and mushy teacher love. I feel like this is working for my classroom not only for science but also on relationship building. However, I have been met with some grumblings. Some teachers in my school think that I am opening myself up to too much information. They question my actions when I see inappropriate posts from kids like the booming vaporizer craze as of late. (This probably wouldn't be that big of a deal if I was working with seniors in high school but I'm working with 8th graders). My rebuttal, have a conversation. We are in the business of making students better people so if I see something that is anything less than stellar I see it as an opportunity to talk to the student (if they are willing) about their choices and consequences of their choices. Where I have not worked out all the kinks to this process and it is only my first semester really in full Instagram swing, I do enjoy the impact it is having on my students and will continue to use it as a way to reach out. I love your enthusiasm and willingness to try! Good for you! 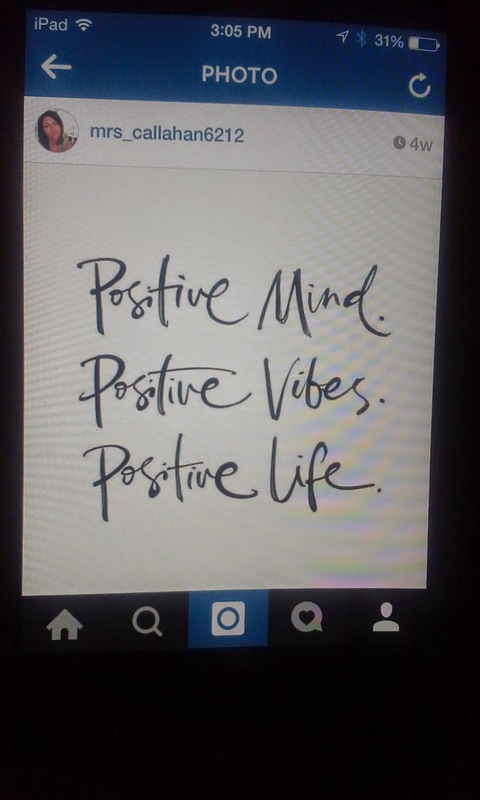 :-) I teach fourth, so mine are not there with social media, but I am inspired. Best wishes! I love this so much! I tutor, and I think this would be an awesome way to connect with my students. Do you mind if I follow you on Instagram just to get an idea of what you post? Also, just a question. Are you ever concerned about disadvantaging or alienating students who are from lower income homes and maybe don't have cellphones? 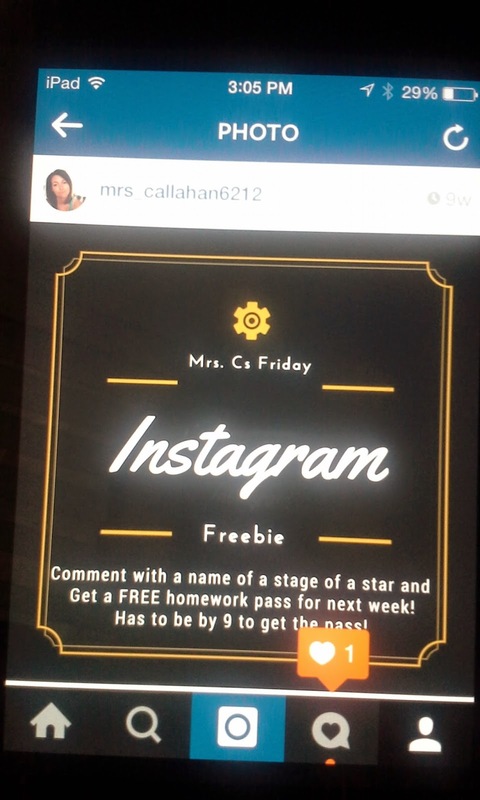 As in they wouldn't get the free homework passes, or whatever other rewards given out on Instagram? I don't think this would be a huge issue for me, since most people affording a tutor are relatively affluent or at least above the poverty line, but I am curious as to how you manage that issue in your classroom. Hello! I am Mrs. Callahan! I am in my 5th year of teaching at an intermediate school in Hawaii on the island of Oahu. I teach 8th grade science in a flipped classroom setting and a 7th grade AVID elective. I have an amazing husband and the best dog ever. We have been living on the island for over a year and have loved every minute of it. We hike, swim, snorkel, run and anything else we can find to do. Aloha!